Unknown11:45 PM 3 sweets for free! 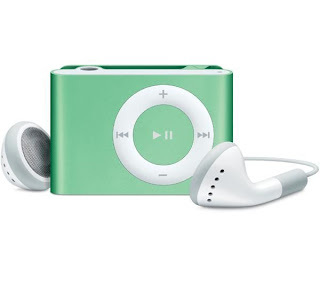 First, I got this free Ipod shuffle from the Compaq Presario that I bought. Its value is relatively small to the Ipod video which I already have, but still, I'm just so happy that I have an ipod that I could carry around while communting around the city with a lighter ipod on hand. And the big plus is... it's in my favorite color : Green! 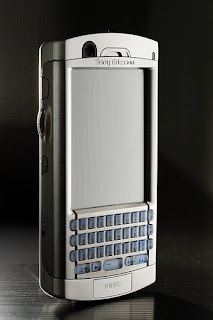 Next, my mom doesn't know how to navigate her new phone - the Sony Ericsson P990i. Therefore, it goes into my hands for I'm a Sony Ericsson Expert! Yes, my previous phone is the P900 so I know how to navigate through the P990i in seconds, even if the software used in P990i is way different and more user-friendly than the P900. What I'm so happy about is that it has 3G and it's wi-fi ready! 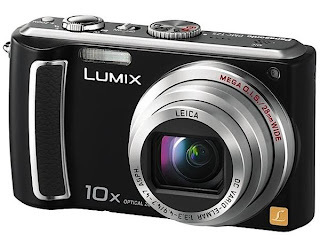 And the best part of the week is, I got my pre-ordered Panasonic Lumix TZ5! This one is not free and I really worked hard for this but it's a bargain! It costs around Php 26,999 in the market here in Makati but I got it only for Php 17,700! So, all in all, I got the value for my money. TZ5 has been reviewed by dpreview and is highly recommended! Im a gadget chic and this week I believe I'm the hottest gadget chic in town. I'm just so excited to make an entry bout these gadgets but don't have the time yet to upload pictures and test shots for these pretty toys. I'll be having a really busy week now and hopefully I could update posts within the week!